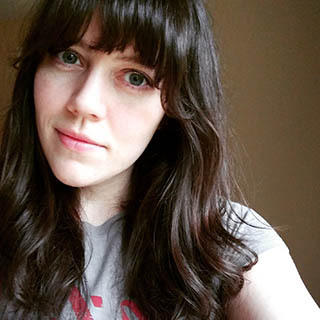 Welcome back to part two of the Morgan Taylor Forever Fabulous collection! If you missed the first half of the collection you can find that here. This half has the remaining swatches and two of the gift sets being offered this holiday season. Notes: She's A Natural is a nice alternative to white. This provides a softer look than a bright white nail. Notes: Diamonds Are My BFF can be worn as a glitter topper or built up to full coverage as seen above. Notes: Wrapped In Satin is a magical light blue shimmer that's perfect for the holiday season. The shimmer twinkles with every move. Notes: A Kiss From Marilyn is a nod to her iconic red lip. This is a lovely shade for any collection. Notes: I love rich reds like this. Wish Upon A Starlet is a classic red with a twist! Notes: I really love rich, dark shades this time of year, so Batting My Lashes will be worn a lot this holiday season! Morgan Taylor is releasing a handful of gift sets in addition to the full Forever Fabulous collection. 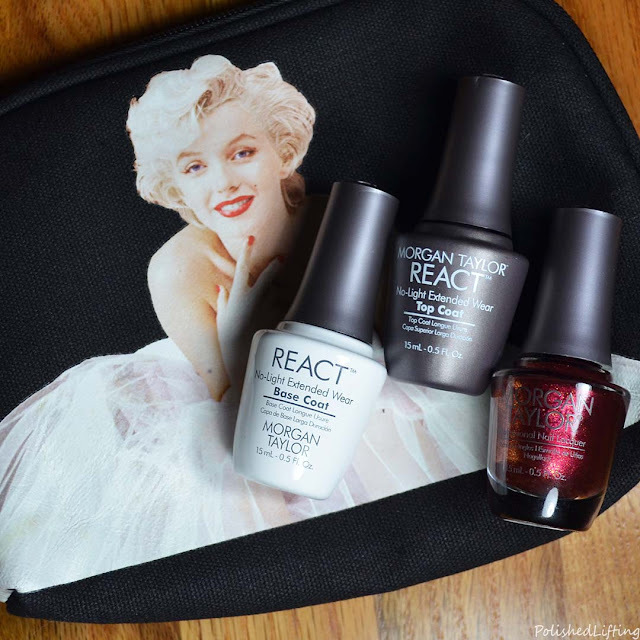 The first is this React set that comes in an ultra cute Marilyn makeup bag. This set comes with React Base Coat, React Top Coat, and Wish Upon a Starlet. The second gift set I have to share is this adorable four piece mini set. This set contains 4, 5mL bottles in the following colors: She's A Natural, Hollywood's Sweetheart, A Kiss From Marilyn, and The Camera Loves Me. The Morgan Taylor Forever Fabulous collection is currently available through select retailers. The Morgan Taylor Forever Fabulous collection is available for a limited time while stock lasts. If you enjoyed this post you might like Morgan Taylor React max Strengthener + Base and Morgan Taylor Matadora Collection | Fall 2017.